You know those fascinators the British royals have made amazingly popular these days? This is not one of those. This is it yarn-y cousin. The knitted (and crocheted) fascinators may not be as well known or as fashionable but I promise you, they are much warmer. 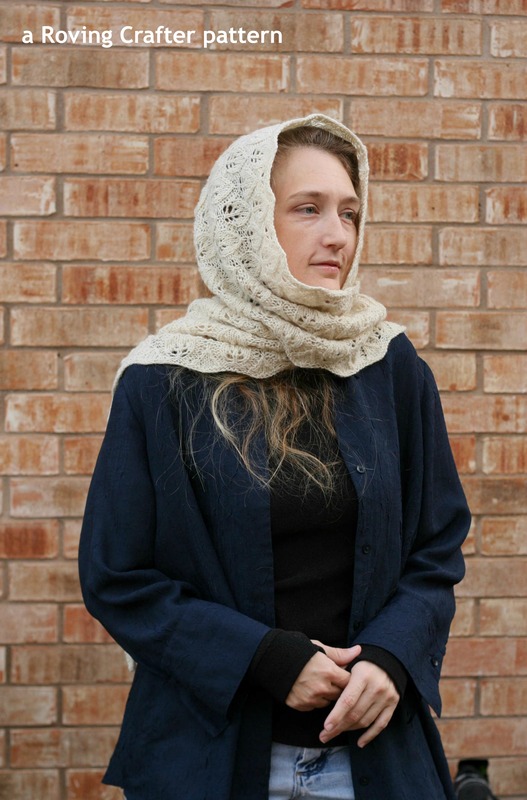 Today most people would call this strip of lace a head scarf. But I’m in a vintage-y mood so I’ve dubbed it a fascinator. It sounds so much more elegant. Also I get the opportunity to make clever puns like A Fascinating Fascinator, and A Fascination in Knitting. How could I resist that? For my fascinator, I made the cast on the longest edge. As each repeat is worked, the number of stitches is reduced, resulting in a trapezoid shape. At the end of each repeat, the leaves on the very outermost edges are reduced to three stitches wide. Then they are bound off. It gives the piece the nice scalloped edge that I was looking for. I used 500 yds of handspun Dorset Down in sportweight. Use a good quality sportweight wool or wool blend. The pattern is flexible and can be adapted to greater/lesser yardage. Finished Size: After blocking, mine is about 77 inches (196 cm) long and 11 inches (28 cm) wide. I love charts. If you’re not a regular chart user, I’ve included some extra explanations and tips to encourage you to give this one a try. Also, I wrote a whole series of posts on how to read charts a while back. I really love charts. – Every row starts and ends with a “k2”. That’s shown by the pink boxes on each edge. 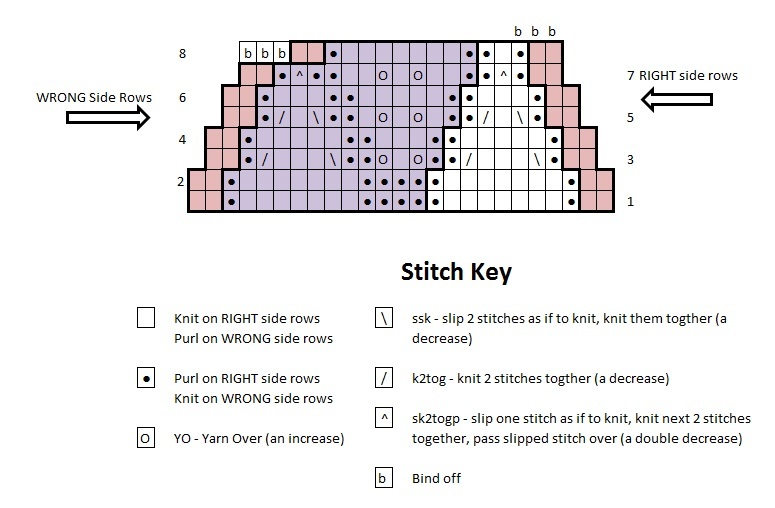 – The repeated stitches are shown in purple. Do those as a set over and over. – The stitches that are only worked once are shown in white. – Don’t forget those “b’s” at the top right. Turn, bind off 3 stitches, then start over again at Row 1. I hope you enjoy your Fascinator as much as I enjoy mine. If you are looking for a way to take this pattern with you, check out the handy “Print & PDF” button down there on the left. 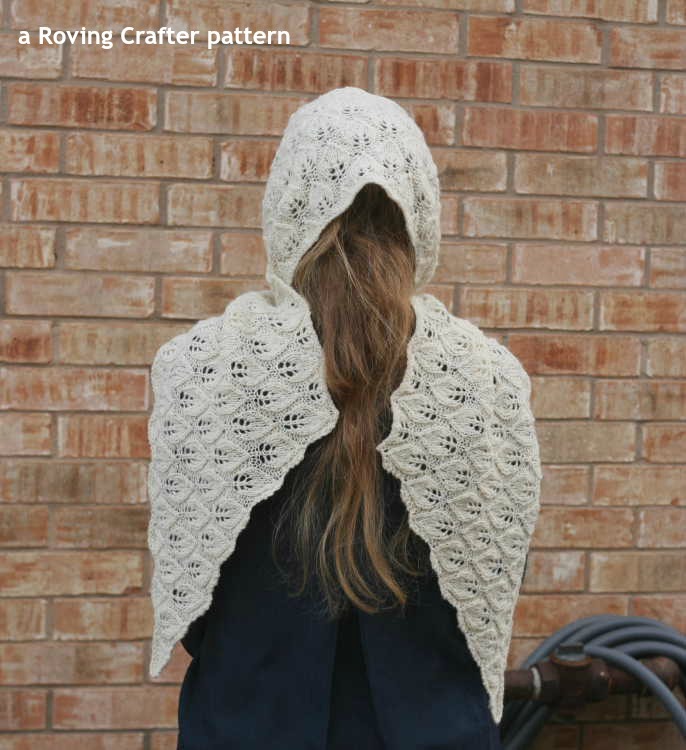 And check out our other free patterns. You might find something else you like. 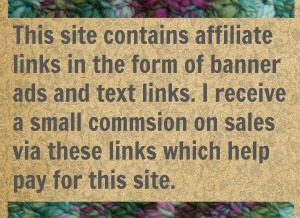 13 Comments on "Knitted Fascination – A free pattern"
Very nice. Book marking this pattern for future use. Wonderful! I hope you enjoy making one as much as I did. I found out about you after reading your post on the Woolery site. I bookmarked it to read again. 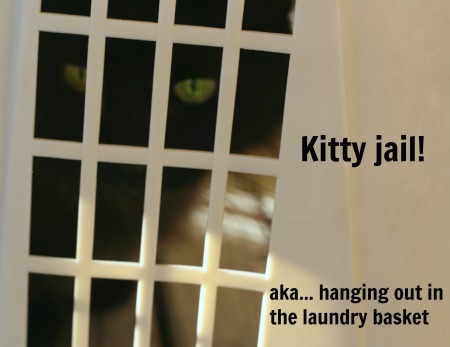 And subscribed to this blog! Hiya Susan! So glad you found us. I have a lovely susan kunze scarf is it yours? Not sure who Susan Kunze is. But this scarf, this one I show here is mine. 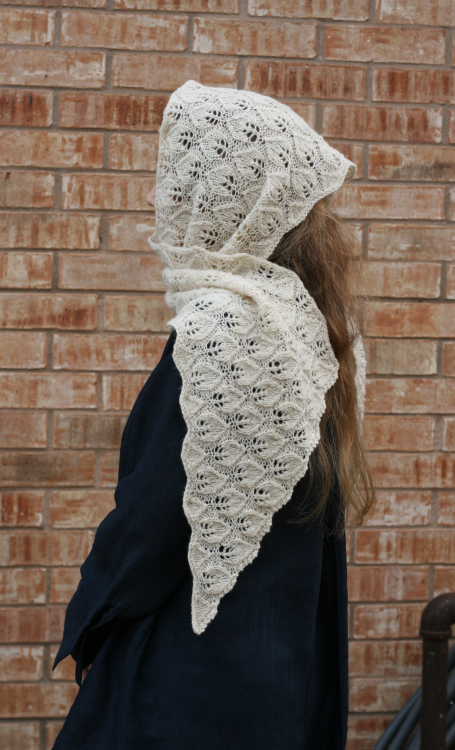 It may look like another scarf somewhere since I used a very traditional leaf lace motif to make it. 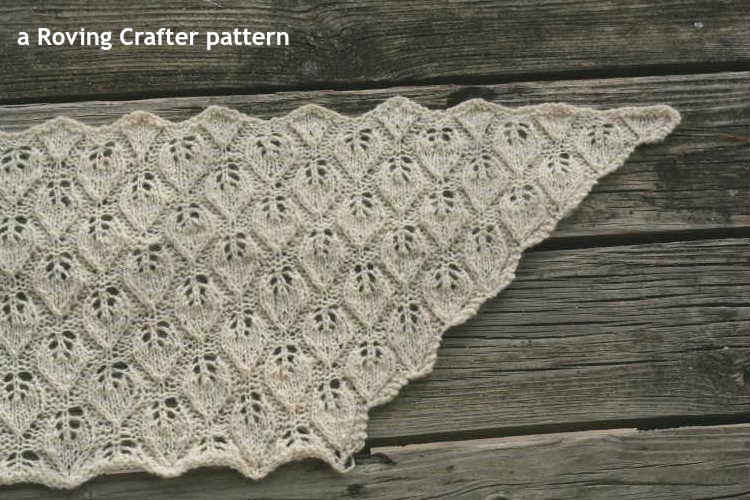 I love your pattern- so detailed and helpful. Thank you! I look forward to your next blog. dose it come in a crochet pattern??? It does not, sorry. What is is about this wrap that you liked? maybe I can find something similar in crochet.